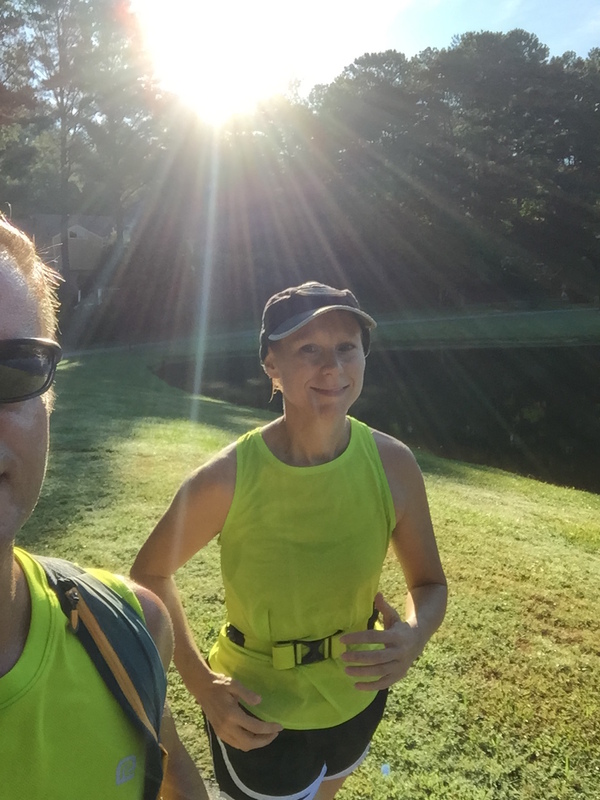 Just what the world needs, another running blog right? We think this blog is unique because it’s the only one we know of that’s written by two runners who are married to each other. We love each other and running. There are plenty of great running blogs devoted to training, nutrition, fitness, marathons, trails, racing, being a mommy runner, being a father, and so on. 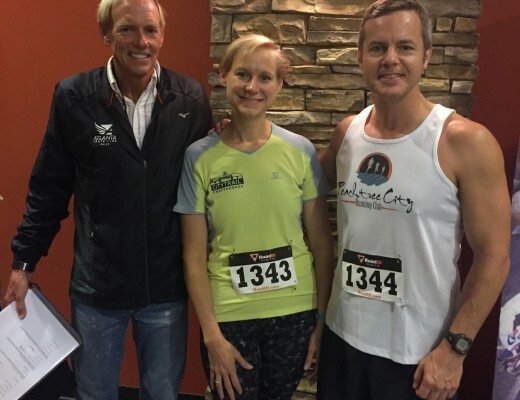 How about a blog written by and for married runners and their friends and families? 1. Both of us have struggled with our weight. Just look at our wedding picture from 1994. 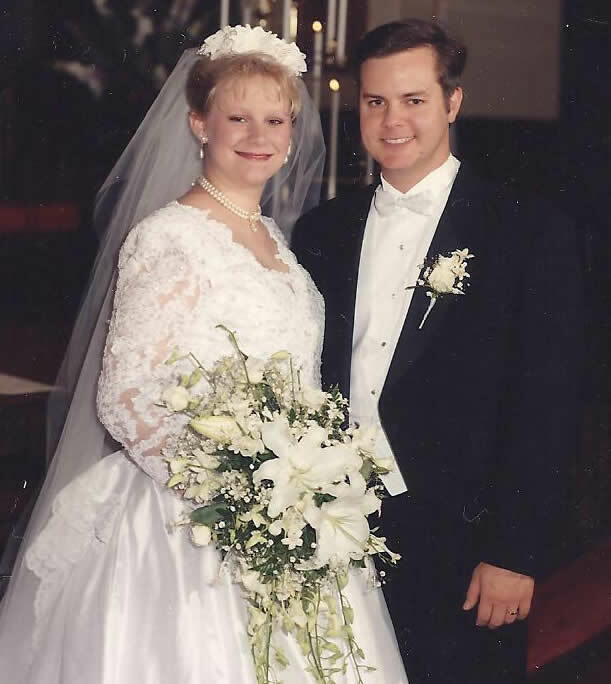 Together, we’ve lost over 120 pounds of combined weight since our wedding all those years ago. We want to share tips, stories, and encouragement to help you and/or your partner maintain a healthy lifestyle. 2. Our families have struggled with health issues. Mary Catherine’s mother died of a heart attack at the very young age of 57. We feel good health is an important family issue and that running is a simple and effective path to health. 3. 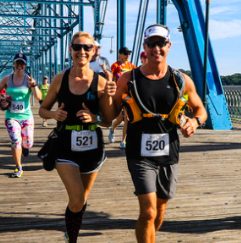 We think there are some unique perspectives to be shared as married runners. Sometimes we run together, sometimes we don’t. At various points during our marriage, only one of us ran and the other partner resented it. That flip-flopped when one partner got in shape and the other spouse got back out of shape. 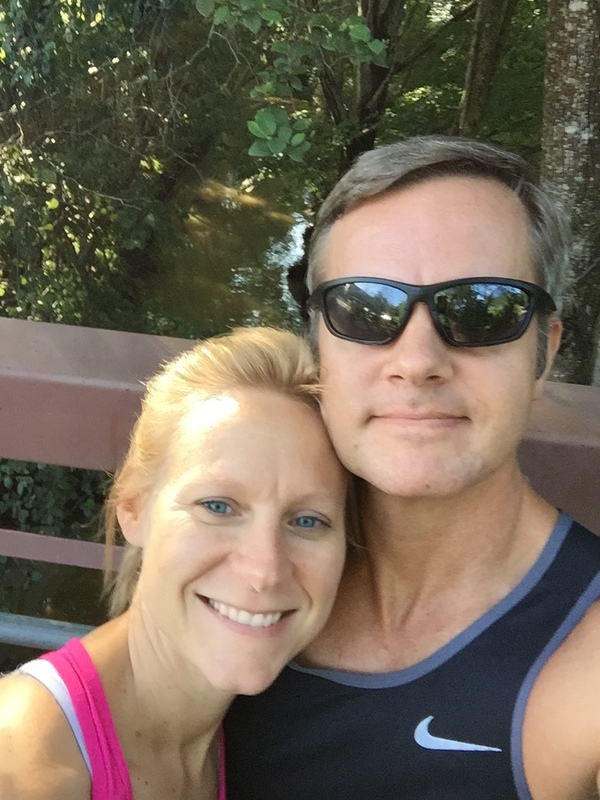 Thought you were the only one with the problem of a unsupportive, non-running spouse? Nope. 4. The institution of Marriage is very important and, unfortunately, has been cast in a negative light the past few years. 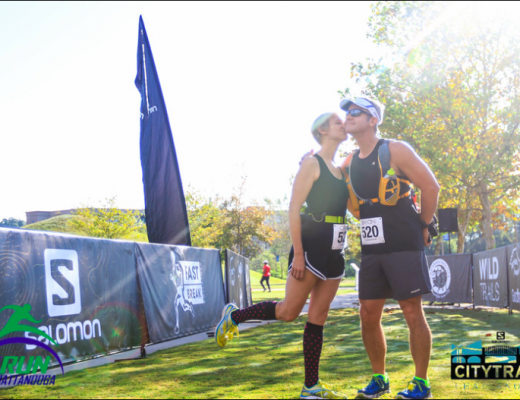 Regardless of your definition of Marriage, we believe that running the race of life with a partner is so much better than running alone. Whether you’re single, divorced, in a traditional Marriage, or in a non-traditional Marriage – ALL are welcome to read and participate in this website. 5. We believe in getting up and trying again when you stumble. Before meeting and marrying, Joe was divorced and Mary Catherine was not. During the awful recession of 2009-2011, our marriage and finances were taken to the brink of failure. We survived and no matter what you’re going through – you can too! Running is a great metaphor for life lessons. 6. 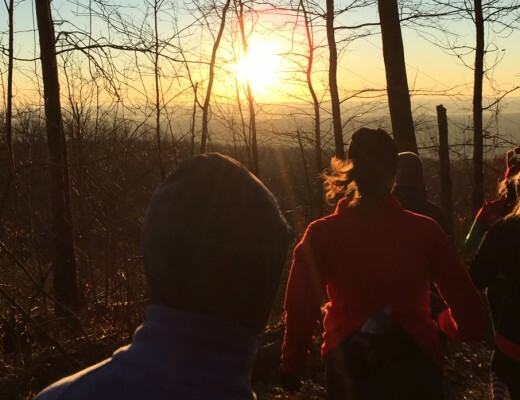 Social media, blogs, and the Internet make sharing and reading about running adventures a whole lot of fun. Wouldn’t you rather see pictures, share pictures, and read about really cool running adventures than look at silly cat videos or non-sensical political commentary? We hope you enjoy our running adventures and we look forward to hearing about yours.